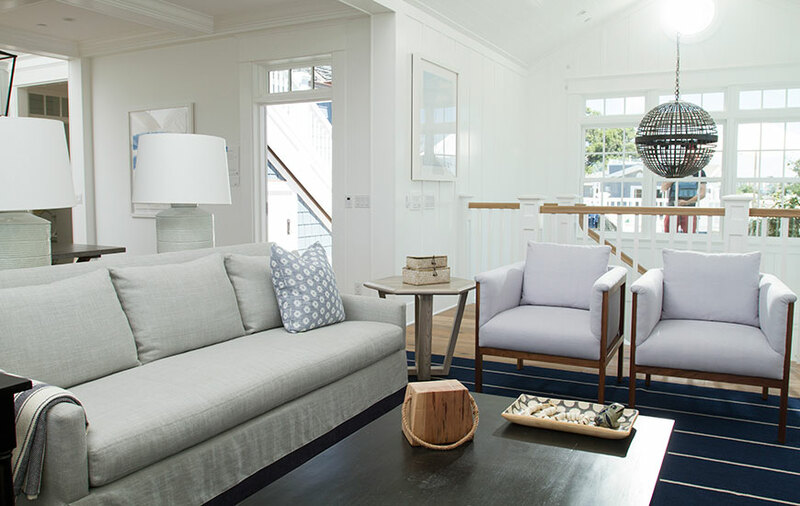 While the whole 2014 Coastal Living showhouse is absolutely stunning, we are particularly in favor of this upstairs living and dining space. 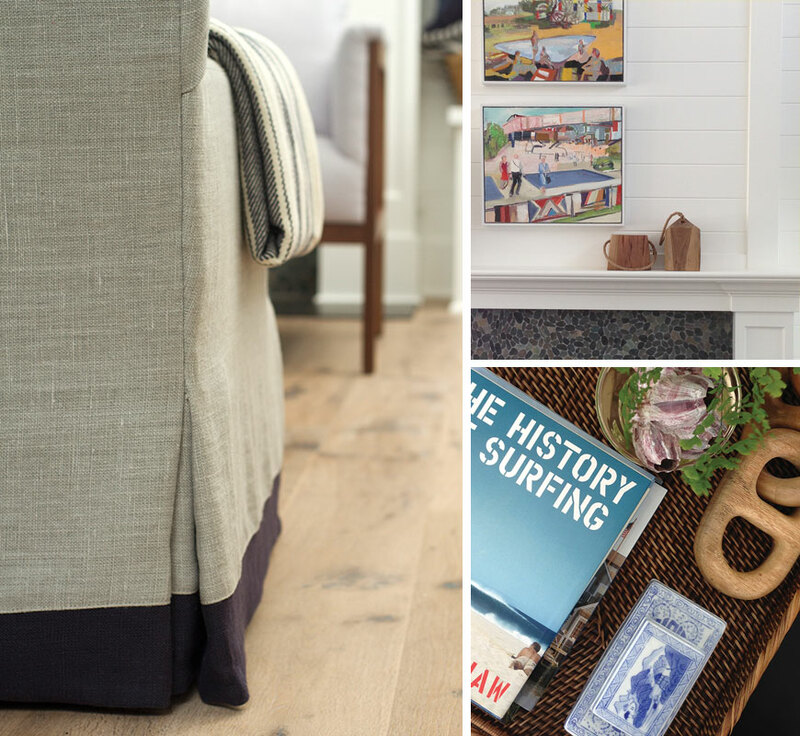 The subtle color palette reminds us of the shore on a cloudy day, and has a very cozy and inviting feel that tends you draw you in, while still remaining sophisticated and crisp for company. 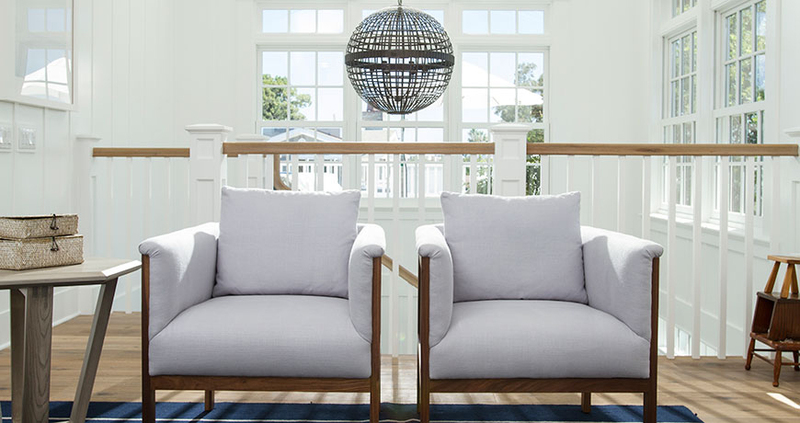 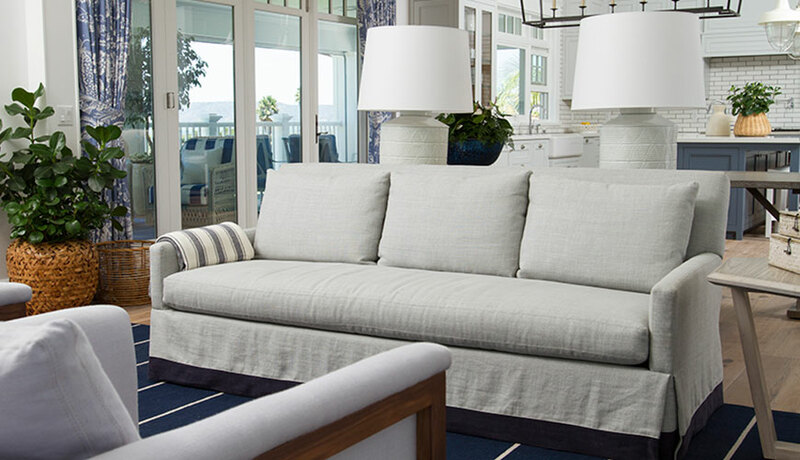 We love all the various shades of blues and grey that tie the joint room together, and the effortless look of the slipcovered sofa with the navy accent stripe. 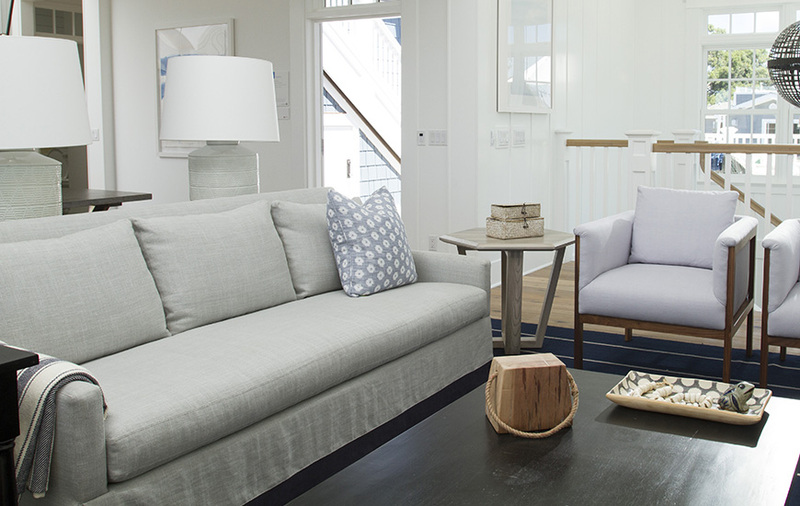 The subtle nautical vibe within the space gives a nod to the home’s coastal surroundings, but doesn’t overdo it. 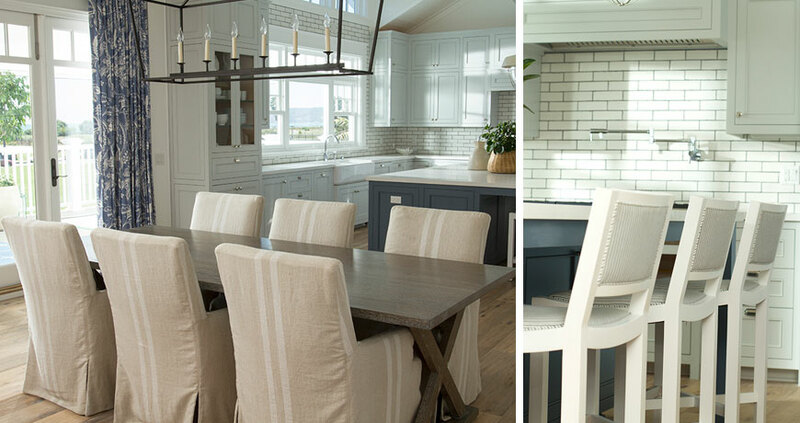 The use of textures and patterns in different scales keep this space interesting, and we love the layering effect of the various accessories used in the space. 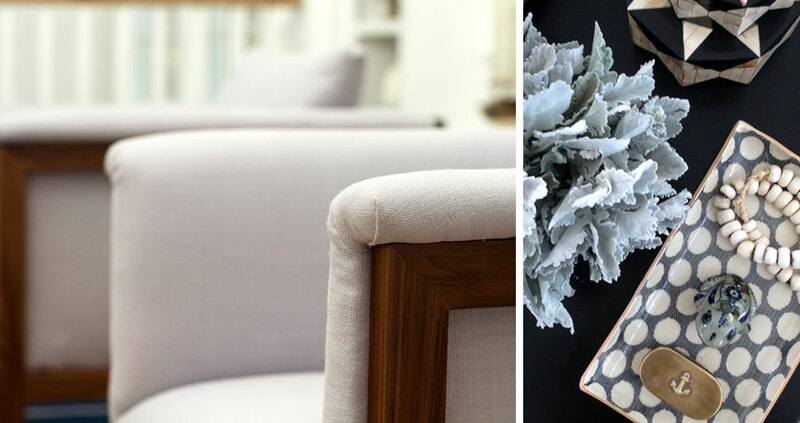 To create a space of similar interest, shop the products shown here and inspired picks as well below.